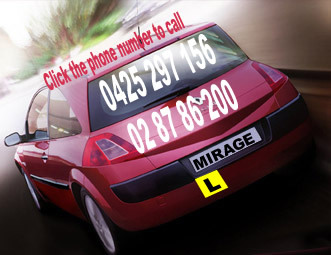 Mirage driving school Parramatta, Merrylands, Fairfield, Liverpool, and Lidcombe is a friendly team of highly experienced and RTA accredited driving instructors. In Mirage driving school we pride ourselves on the ability to teach Learner Drivers the skills and knowledge to pass the Roads and Traffic Authority examination, first go. Our modern training vehicles and professional driving instructors make you feel comfortable and safe. Mirage driving school tuition is competency based. Mirage Driving School designs a personalized driver tuition program to suit your individual needs and abilities. The aim of this program is to give you a good knowledge of the principles of safe driving and through this knowledge to help you get your license in the shortest practical time. 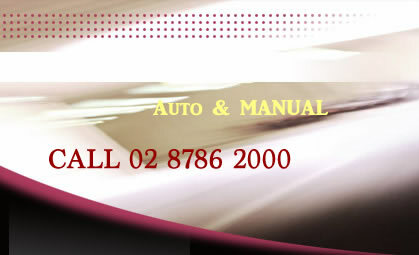 Our cars are all late models with air-conditioning, power steering and are fitted with dual pedals.